A new strand of a-n’s Granted professional development programme launches this autumn in south east England. Working in partnership with Medway Council’s Recreate creative industries regeneration project, a series of events in Chatham will be providing confidence and know-how for artists and visual arts freelancers to move their practice and projects forward. Alongside this extensive programme of six Granted workshops and seminars, for the first time a-n’s expert facilitators will be on hand to provide one-to-one advice through a series of bookable Skype and face-to-face ‘Advice and guidance’ sessions. Speaking about the programme, curator Lucy Day, who has worked with a-n to develop the series and will also lead a session on exhibiting, said: “I am delighted to be working with a-n and Medway Council on this series of seminars, which will provide expert insights to a notoriously opaque sector. First in the series is Dodge the Shredder (21 November 2014), a full-day workshop offering tailor-made feedback for funding proposals in progress. Developed and delivered by artist Emilia Telese, this workshop for practitioners with little to no experience of fundraising, or those who need a refresher course in current strategies, looks to empower artists and arts organisers to fundraise effectively while creating a financial strategy for their practice. Cost: £20 (a-n members); £25 (non members). For more information and to book a place see Jobs and opps. Led by Lucy Day, How to get your work shown (28 November 2014) will focus on the ecology of the art world. By considering the roles of curator, gallerist and commissioner, as well as other key art-world players, this full-day seminar will help artists identify strategies and tools for approaching galleries and curators, and setting up their own exhibitions. Aimed at all visual artists, this session will be particularly useful for early career practitioners. Cost: £20 (a-n members); £25 (non members). See Jobs and opps for further information and to book a place. Harnessing social media for promoting your practice (5 December 2014) is a half-day workshop led by artist, writer and critic Jack Hutchinson. Aimed at enabling artists to gain insights into using social media as a tool for promotion and the development of opportunities, the session will explore how blogging and other social media platforms can help artists to raise their profile, expand peer networks, and lead to paid work and other opportunities. Cost: £15 (a-n members); £20 (non members). For more information and to book a place see Events. The Granted new year kicks off with How to develop audiences through crowd funding (9 January 2015). This is a full-day workshop led by producer, documentary artist and crowdfunding platform founder Hen Norton. Useful for both artists and arts professionals, it will enable participants to identify and build their audiences and make the most of networks and social media through crowdfunding and crowdsourcing platforms, with practical exercises to help develop the skills to pitch ideas effectively. Cost: £20 (a-n members); £25 (non members). See Events for more information and to book a place. Negotiating public art and commissioning projects (16 January 2015) will help visual artists and project managers to gain insight into practical issues such as making proposals, responding to briefs, working within budgets, dealing with contracts, copyright and other legal issues. Frances Lord, a consultant and curator who specialises in developing and managing public art and commissioning projects, will facilitate this session using case studies to stimulate discussion. Cost: £20 (a-n members); £25 (non members). For more information and to book a place on this full-day seminar see Events. The series ends with Collaborate creatively (26 January 2015), a half-day seminar for artists and arts organisers. 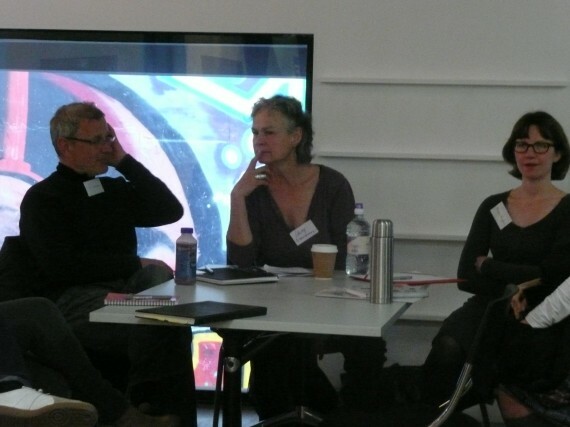 The session will look at the behaviours and characteristics of collaboration, and identify frameworks for joint projects, before considering principles and approaches to creating collaborative relationships among artists and across into other disciplines and contexts. Facilitator Chris Fremantle, a producer and researcher working particularly on art, ecology, science and health, will be joined by two artists who will cite their own practices as examples of different collaborative approaches. Cost: £15 (a-n members); £20 (non members). See Events for further information and to book a place. For a chance to book a free, 45 minute, Skype Advice and guidance session with a Granted facilitator following one of these workshops or seminars, first book your place at the event. Face-to-face, as well as Skype sessions, will also be available with Jack Hutchinson and Chris Fremantle. All Advice and guidance sessions will be available on a first booked, first served basis. All workshops and seminars take place at Sun Pier House CIC, Chatham, ME4 4HF.